Dimensions 1 by 9.25 by 9.25 in. Thatâs a question Mark Moran and Mark Sceurman have enjoyed asking for yearsâand their offbeat sense of curiosity led them to create the bestselling phenomenon,Weird N.J. Now the weirdness has spread: several key locales throughout the U.S. are getting the full Weird treatment, with travel guides to the strange, bizarre, and wacky. 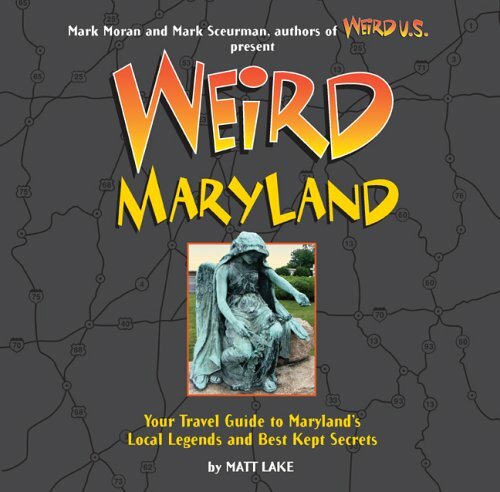 Each fun and intriguing volume offers more than 250 illustrated pages of places where tourists usually donât ventureâitâs chock-full of oddball curiosities, ghostly places, local legends, crazy characters, cursed roads, and peculiar roadside attractions. Whatâs NOT shockingly odd here? That every previously published Weird book has become a bestseller in its region. About: What's Weird Around Here?